When making a purchase order ATUM reduces purchase price with what is equal to the tax amount, however I have set WC. Automated taxes are disabled, and check mark, in prices including taxes. Our devs will check it when they are back next week. Okay hope for an answer soon, can I just edit the stock manually until it is fixed? 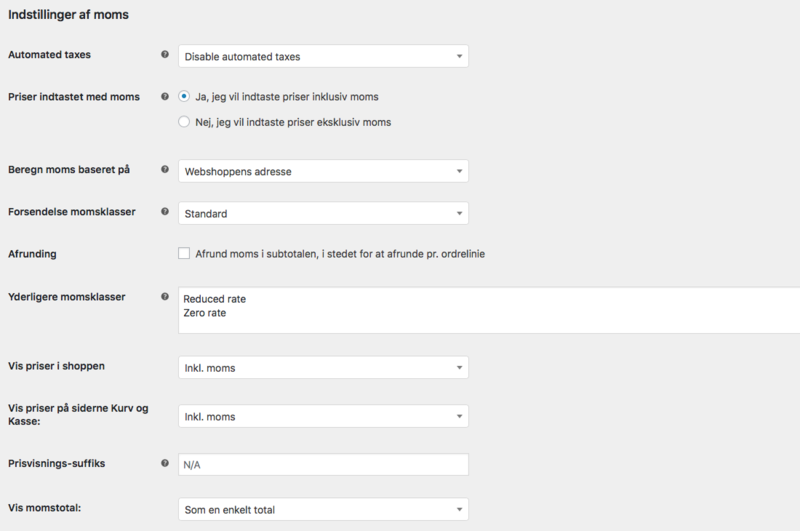 Can I see all screenshot of your settings pages in WooCommerce, pls? What is the VaT set to? Screenshot from that setting would help. Do you enter purchase prices VAT excluded I assume? Hi the screenshot above is about the taxes, (unfortunately in Danish :S). I input taxes in the webshop including taxes. Thank you, that I can figure out, but there is another setting where you set the actual taxes up. Okay, where do I find that setting? When do you say ATUM is reducing the purchase price? Could you explain this, please? That's why you've checked the option "No, I will enter prices inclusive of tax" and as this is a WC's global setting, affects to all the prices. Anyway, you can add the tax to that Purchase Order's product using the "Add tax" button, and the line total should reflect the purchase price you set to that product. 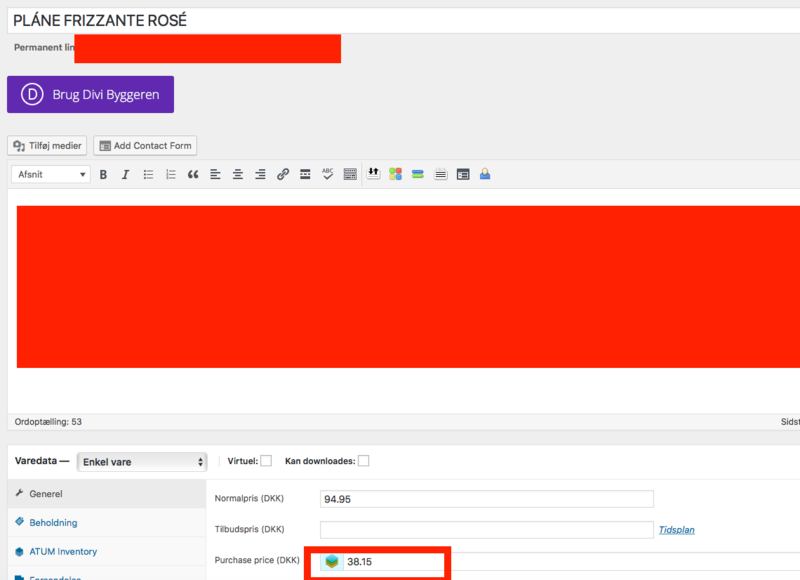 Purchase Orders uses the same functionality as WooCommerce orders. If you try to create a WC's order manually and to add a product the same way you did for the Purchase Order, you'll see that the prices added are tax excluding too (if you have the option mentioned above checked). But you would always input purchase prices without VAT (tax)? There is a big difference for me inputing sales price with tax and input the purchase price with tax. How can I get to input salesprice in WC and input purchase price without tax? If you have the option Salva mentioned active the price you enter will include tax. If you do not activate the option, enter price ex VAT. So, if you want to enter prices excluding VAT into the purchase price field I suggest you turn this option off. That way PO will pull the 38.15 right away. PS: I am not sure what plugin is adding the Automated Taxes option in your settings?